Sometimes you have to sit on the job! Is it possible that something as "indulgent" as a steam room/shower can be good for us on all these levels? Read further and decide for yourself! Already Have a Steam Room? Not working like it used to? Consultation services covering all phases of steam room planning, installation, maintenance and repair. We determine what’s wrong and make recommendations, preforming all repairs should you wish. We are known for resolving issues that others have found intractable. 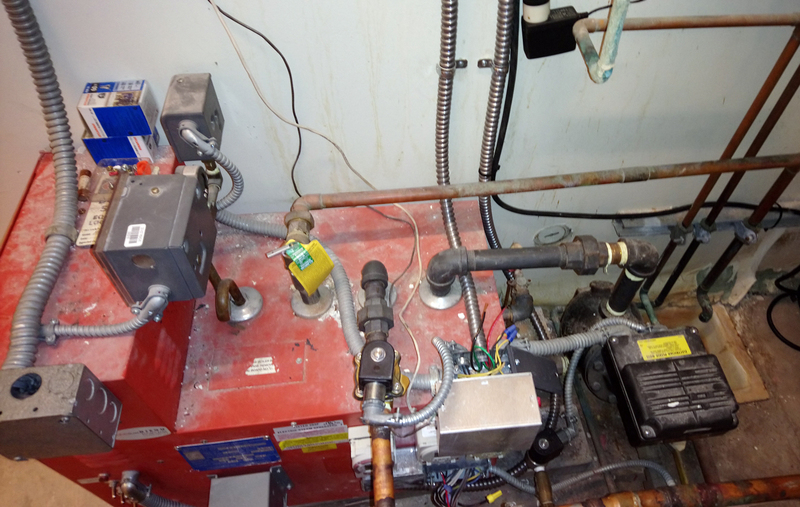 We do both new and retrofit installations of steam units, controls, & fixtures. 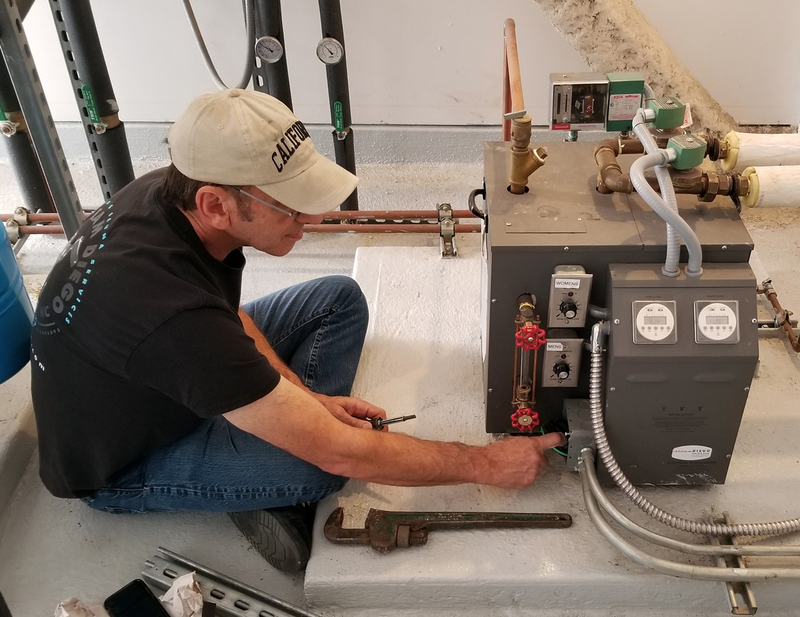 We possess extensive knowledge of the complexities and nuances of steam unit functions & can quickly figure out the most troubling of issues. We are familiar what needs to be tended to and can provide all required servicing. 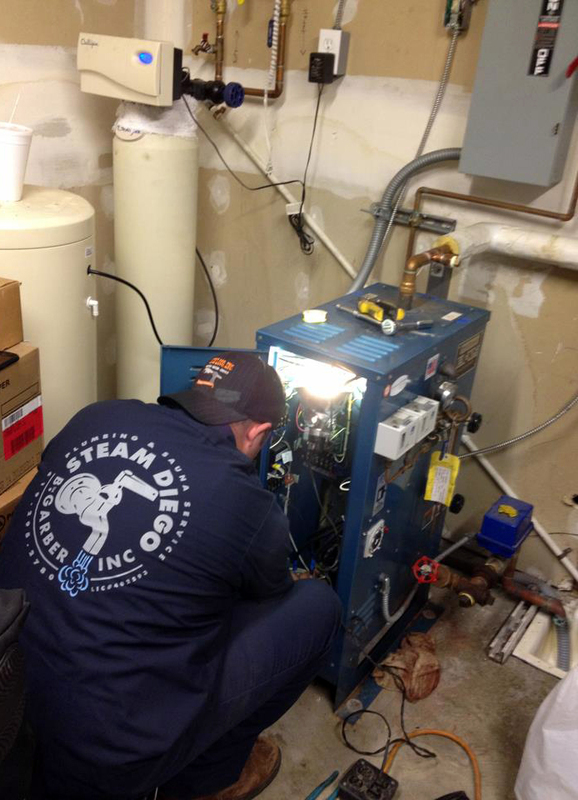 SteamDiego offers and services a complete line of quality products for San Diego County. We are knowledgeable about the latest equipment, accessories and retrofit for existing installations. 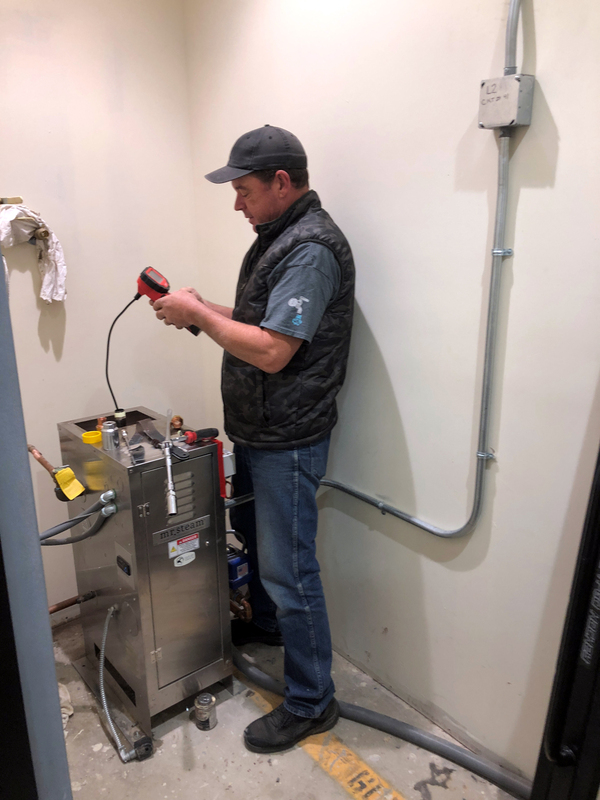 We are experts in steam bath service, improvement, installation, renovation, remodel, recreation houses, clubhouses, commercial spas, resorts, golf clubs, hotels, condominium associations, residential applications, consulting and diagnostic. We are known for our creativity in problem solving and our tenacity in resolving issues where others have failed.